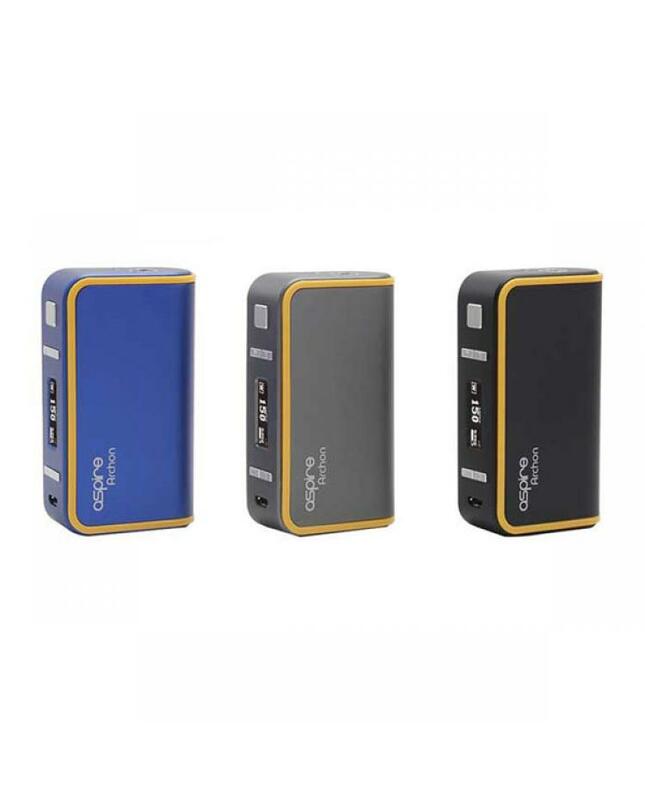 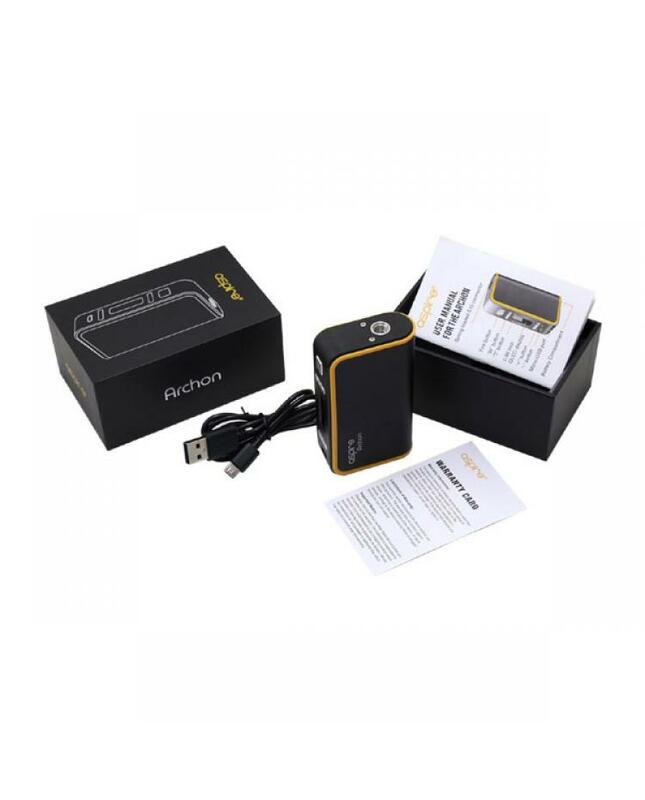 Aspire archon is the newest TC mod by aspirecig, the new mod has three different colors avaliable,max output 150watts, powered by 2pcs 18650 batteries,with strong magnetic battery cover which slides off for easy access to battery bay.support resistance as low as 0.1ohm,support VW,bypass,TI,NI,SS and TCR output modes,with big 0.86inch OLED screen, easily read vaping information,with spring loaded 510 thread,fit for most of new sub ohm tank. 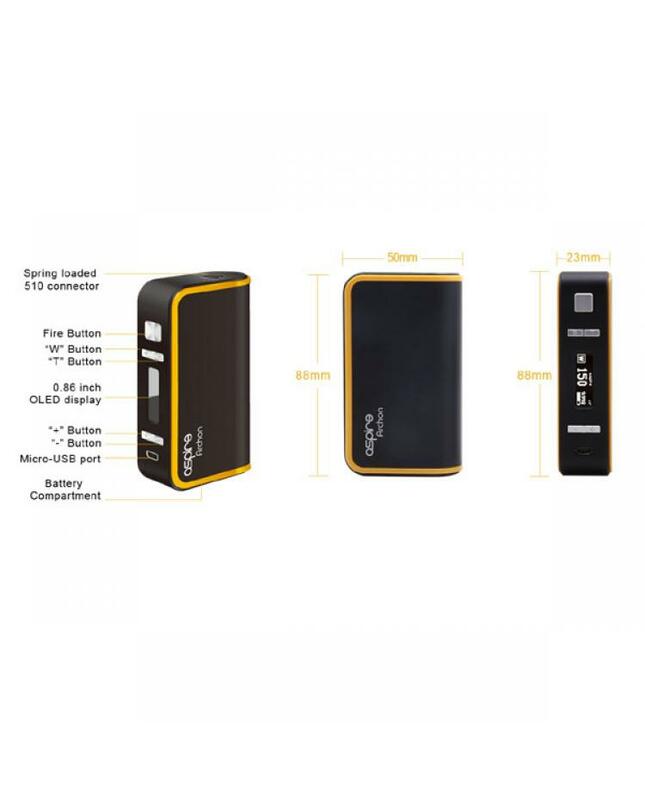 recommend works with TFV4, TFV8 and baby TFV8, vapers can charge your batteries from the micro USB port, but better use battery charger. 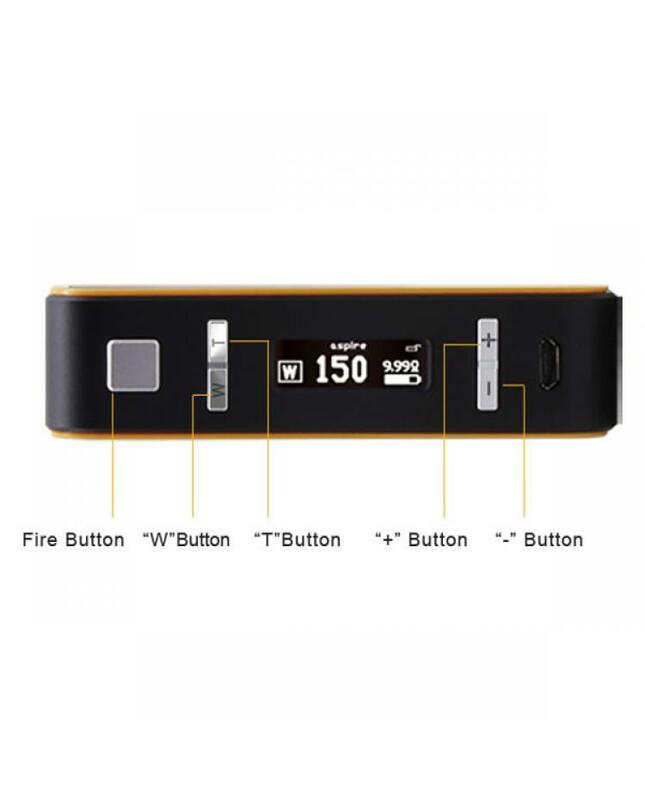 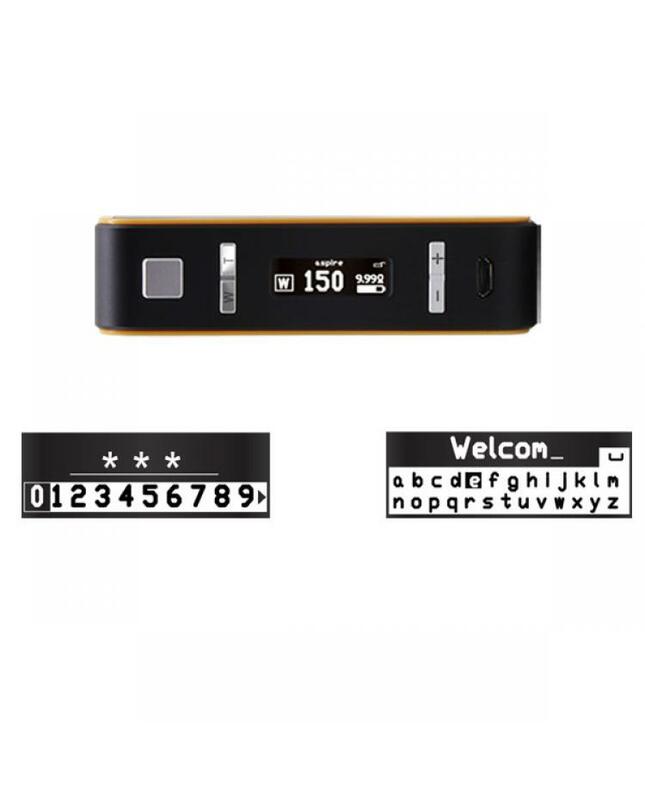 otherwise, vapers can custom logo, the firmware upgradeable.